Some of highest numbers of students compete for admissions in the fields of business and management. It is no surprise that the top national and international universities have extraordinarily high requirements for the qualification process. 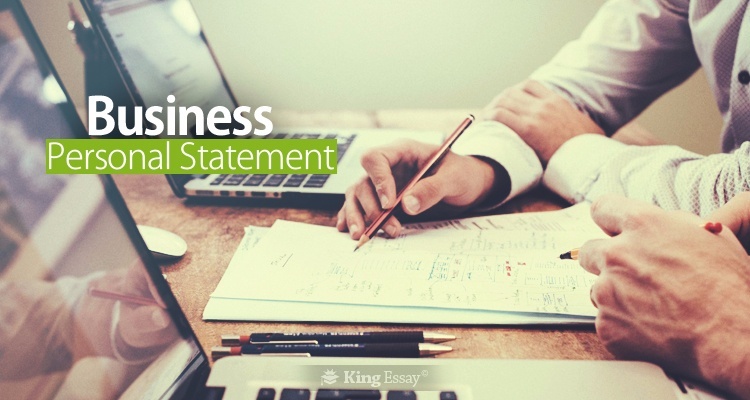 The business studies personal statement gives each applicant the advantage to express themselves. It provides a window of opportunity to convince the admissions department why they are the better applicant above and beyond their academic credentials. If an applicant has taken part in any extra-curricular activities throughout the course of their studies this should be included in its contents. King Essay administers customised personal statement help and support to both national and international candidates. Let us have a deeper look at what should ideally be included in the contents. Professor Peter Corvi at the Warwick Business School states, “We’re looking for strong quantitative skills. Some of our strong applicants are missing this skill.” He also has the privilege of holding the position of the Associate Dean in the business institute. He says that each year the institute receives more international candidates than there are positions. He exclaims that he has seen plenty of applications in which pupils are sharing information about what they will aspire to do if they are admitted to the university. Instead, the personal statement should focus on the activities which you have already accomplished. If you have any certifications this will go a long way in setting yourself apart from the competition. This way these pupils could become an asset to the international institute even if they simply excel in their studies. Professor Nicholas Kinnie from the University of Bath, School of Management says, “this is the first step in university life: taking responsibility of your own learning and development.” He confesses that institutions want to see that you are able to work in a diverse international and multicultural business environment of learning. The beginning of the personal statement should be a stimulating and unforgettable reflection of your personality and your approach towards studies. All of the contents should be in your own words and nothing should be plagiarised. Quoting famous international personalities will only make your marketing personal statement sound weak and lacking enthusiasm. In contrast stating any one of your remarkable achievements or contributions to the field of business will create an extraordinary impression. If you are a cross-country athlete or have excellent skills of scrabble, let all of your skills other than those of studies be known. King Essay provides customised support to compose an effective personal statement business, studies, application. Our experts are available 24/7. All of our client’s information whether it is personal or regarding their studies will be guaranteed to remain completely confidential. The economics personal statement designed by our international professionals will be delivered with a zero plagiarism warranty. We deliver a quality satisfaction warranty with each personal statement. The business qualification aspirant has the facility of getting unlimited revisions and or rectifications based on their initial specifications in accordance to this warranty. For international candidates, keep your priorities in mind and apply to more than one Business University. This way if you don’t get admission in the college which is your first preference at least you will have a backup plan and not waste any time earning your higher qualification.